Harpers Ferry was first settled in 1732 by Peter Stephens, whose "squatter's rights" were bought in 1747 by Robert Harper, for whom the town was named. In about 1750 Harper was given a patent on 125 acres (0.5 km²) at the present location of the town. 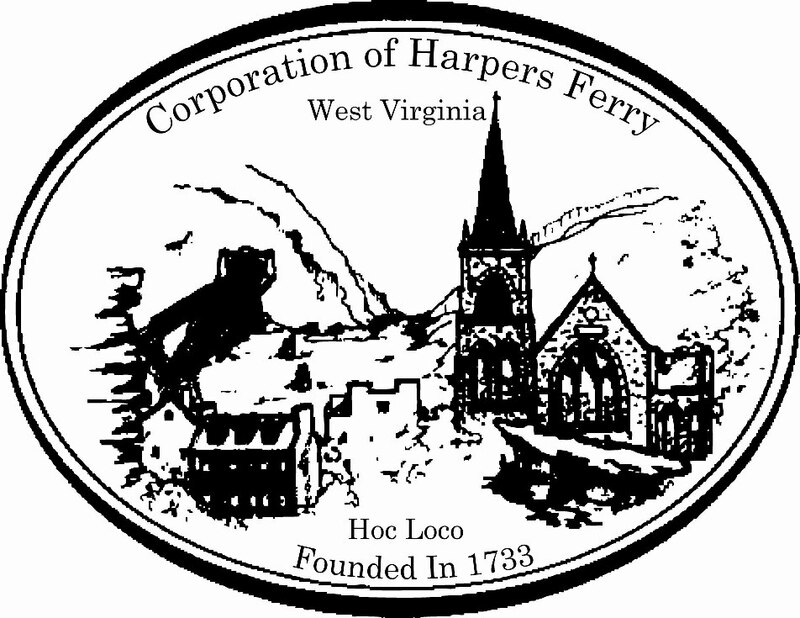 In 1761 Harper established a ferry across the Potomac River, making the town a starting point for settlers moving into the Shenandoah Valley and further west. In 1763 the Virginia General Assembly established the town of "Shenandoah Falls at Mr. Harper's Ferry." On 25 October 1783, Thomas Jefferson visited Harpers Ferry. He viewed "the passage of the Potomac though the Blue Ridge" from a rock which is now named for him. Jefferson called the site "perhaps one of the most stupendous scenes in nature." George Washington, as president of the Patowmack Company (which was formed to complete river improvements on the Potomac and its tributaries), traveled to Harpers Ferry during the summer of 1785 to determine the need for bypass canals. In 1794 Washington's familiarity with the area led him to propose the site for a new United States armory and arsenal. Some of Washington's family moved to the area; Charles Washington, youngest full brother of the President, founded the city of Charles Town, some six miles to the southwest. President Washington's great-great-nephew, Colonel Lewis Washington, was held hostage during John Brown's raid in 1859. In 1796 the federal government purchased a parcel of land from the heirs of Robert Harper, and three years later, construction began on the US Armory and Arsenal at Harpers Ferry. Between 1801 and 1861, when it was destroyed to prevent capture during the Civil War, the armory produced more than 600,000 muskets, rifles and pistols. Industrialization continued in 1833 when the Chesapeake & Ohio Canal reached Harpers Ferry, linking it with Washington, D.C. A year later, the Baltimore & Ohio Railroad began train service through the town. On 16 October 1859, the radical abolitionist John Brown led a group of 21 men in a raid on the arsenal. Brown and his men attacked and captured several buildings; he hoped to use the captured weapons to initiate a slave uprising throughout the South. 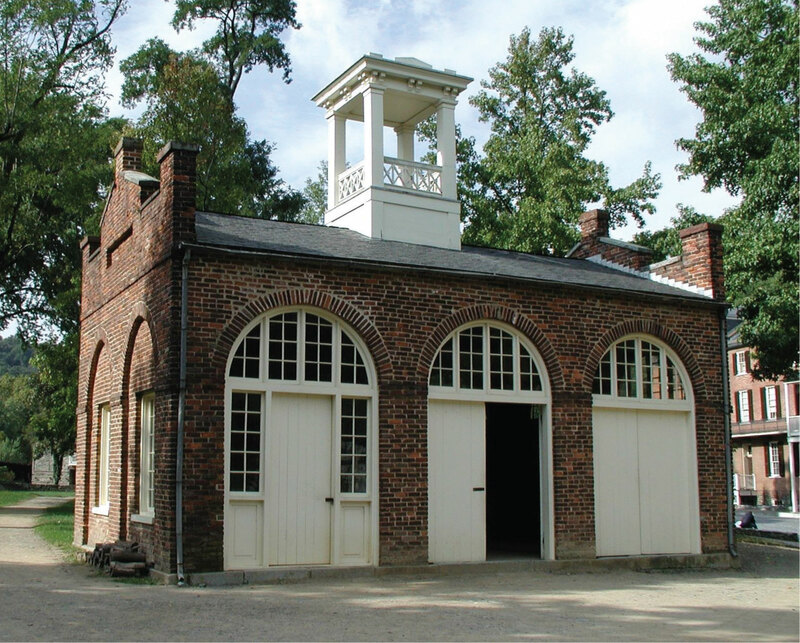 John Brown's men were quickly pinned down by local citizens and militia, and forced to take refuge in the engine house adjacent to the armory. A contingent of US Marines, led by then-Lieutenant Colonel Robert E. Lee, stormed the engine house and captured most of the raiders, killing a few and suffering a single casualty themselves. Brown was tried for treason against the Commonwealth of Virginia, convicted, and hanged in Charles Town. The raid was a catalyst for the Civil War. The Civil War was disastrous for Harpers Ferry, which changed hands eight times between 1861 and 1865. When Virginia seceded in April 1861, the US garrison attempted to burn the arsenal and destroy the machinery, to prevent the Confederates from using it. Locals saved the equipment, which the Confederate Army transferred to a more secure location in its capital of Richmond. The US Army never renewed arms production in Harpers Ferry. After the end of the Civil War, in 1867, the historically black Storer College was founded on Camp Hill by Reverend Nathan Cook Brackett. Notable alumni include jazz legend Don Redman and the first President of the Federal Republic of Nigeria, Nnamdi Azikiwe. Storer College closed in June 1955, and the campus is now part of the Harpers Ferry National Historical Park. On 15 August 1906, the Niagara Movement, led by author and scholar W. E. B. Du Bois and political activist William Monroe Trotter, held its first meeting on American soil on the campus of Storer College. The three-day gathering, which was held to secure civil rights for African-Americans, was later described by DuBois as "one of the greatest meetings that American Negroes ever held." In 1911, the members of the Niagara Movement joined with others to form the National Association for the Advancement of Colored People, better known as the NAACP. In 1944 most of the town became part of the National Park Service and is now maintained as the Harpers Ferry National Historical Park. All areas of the town not within the Park are contained within the federally-recognized Harpers Ferry Historic District. Harpers Ferry is both the easternmost and lowest point in West Virginia, being only 247 feet (87.5 m) above sea level at the river confluence. The Appalachian Trail Conservancy headquarters is located here. Harpers Ferry is one of only a few towns the Trail passes through.